Pacific Gynecology and Obstetrics Medical Group was formed in 1985. Our emphasis is to offer the highest quality of medical care possible throughout our community. Our providers are a dedicated group of board certified OBGYN specialists who care about you. We strive to give you individual attention in a gentle and compassionate manner. At Pacific Gynecology and Obstetrics Medical Group we offer comprehensive care for your Gynecological and Obstetrical needs. We want to empower our patients to make informed decisions about their health and offer complete evaluation of their conditions. We offer expertise in both medical and surgical options. Pacific Gynecology and Obstetrics Medical Group is currently composed of 7 physicians with a common interest in assuming a leading role in our medical community. PGOMG is one of the largest, most experienced private practices in the San Francisco Bay Area. All of our physicians are board certified by the American Board of Obstetrics and Gynecology. Our physicians and care providers are trained at some of the country’s top universities and medical schools, including Stanford, UCLA, Berkeley and Johns Hopkins. Our staff and physicians come from diverse backgrounds. 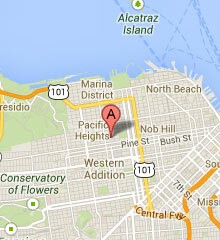 We’re proud to serve all of our friends in the San Francisco Bay Area! Independent Doctors Know You Like Family from Brown & Toland Physicians on Vimeo.